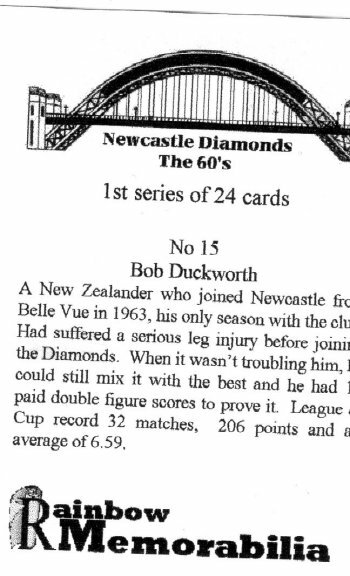 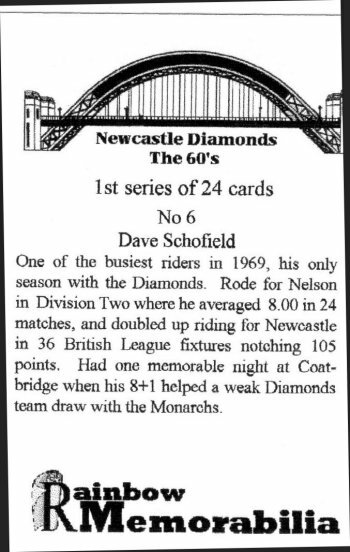 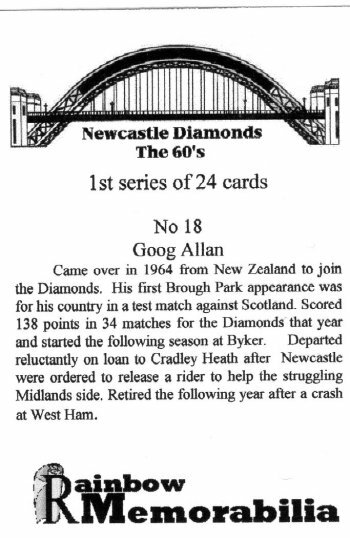 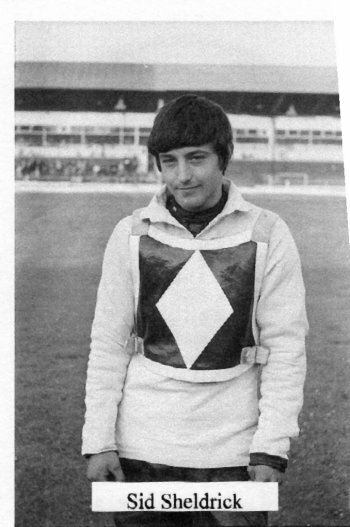 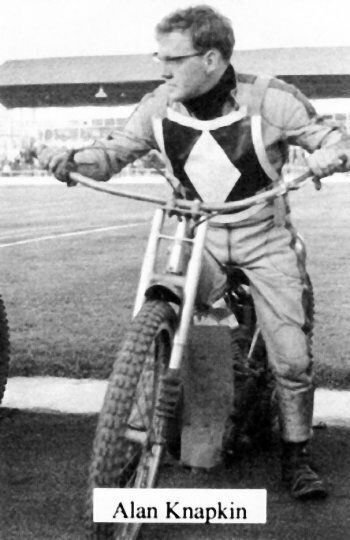 John says: Newcastle Diamonds got into the Cigarette Card act and produced their own card set and not a cigarette in sight! 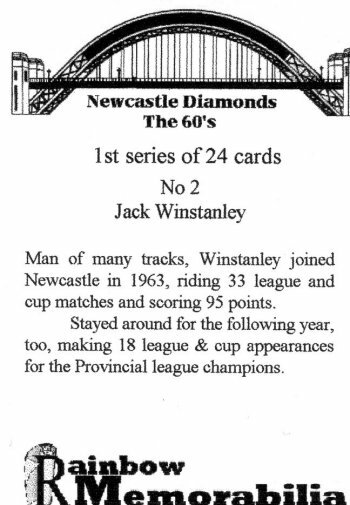 Well done Newcastle Speedway. 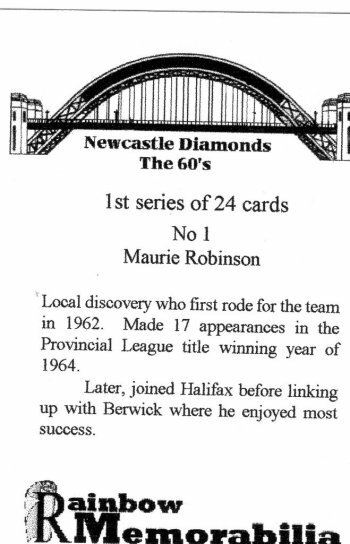 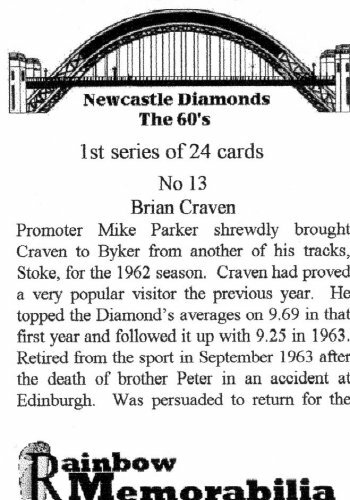 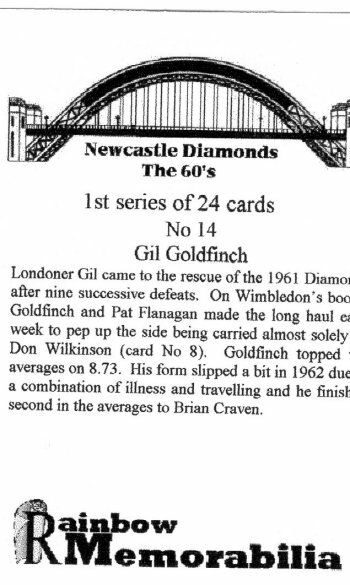 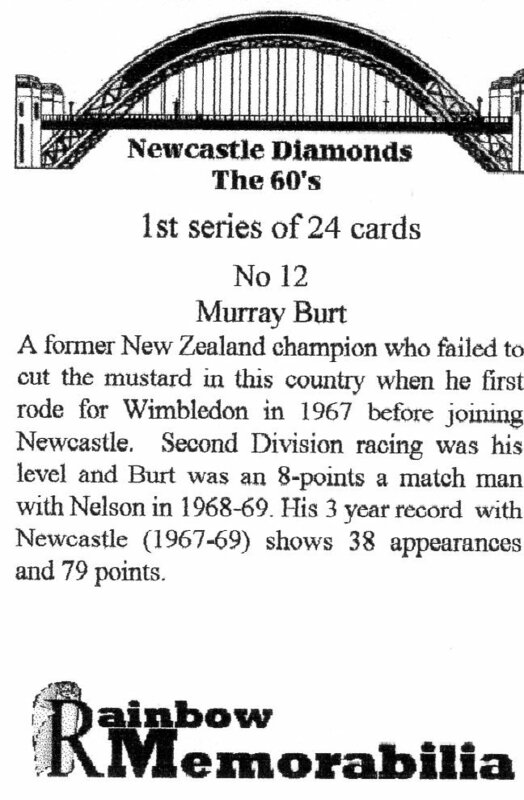 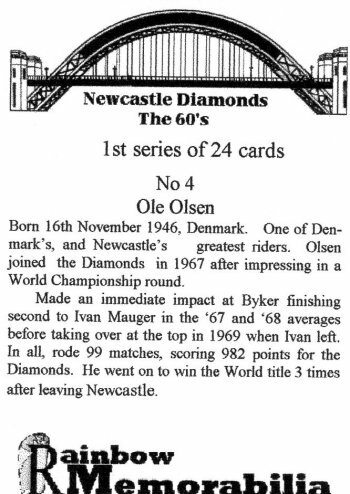 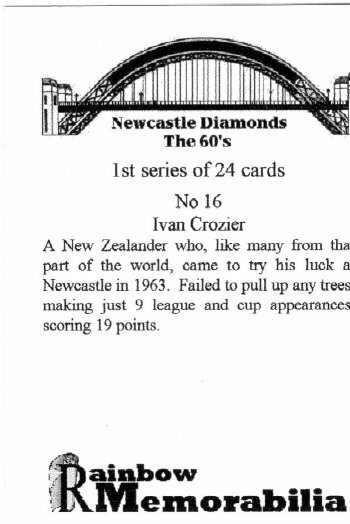 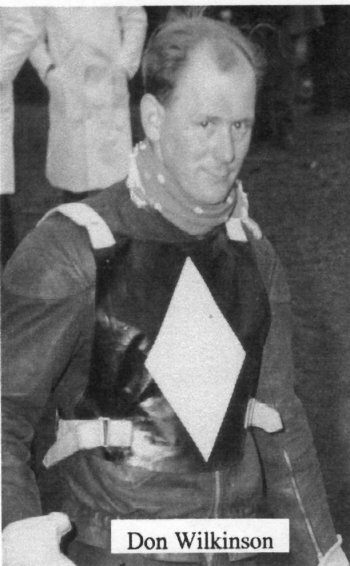 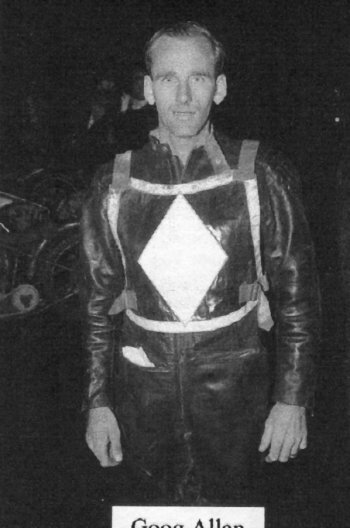 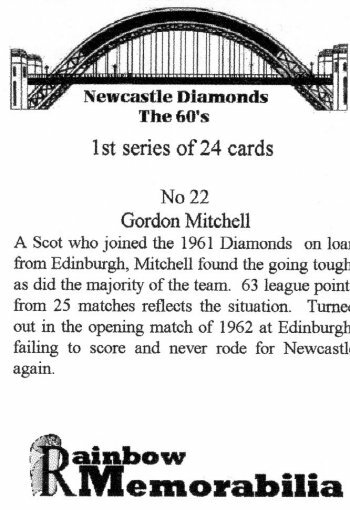 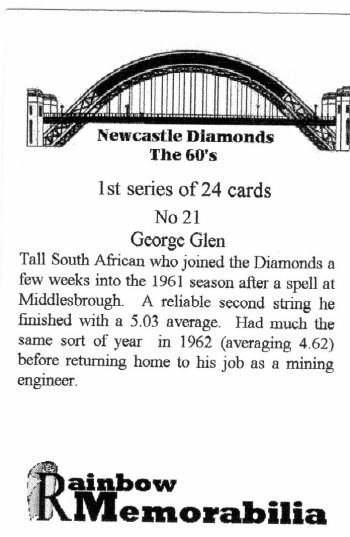 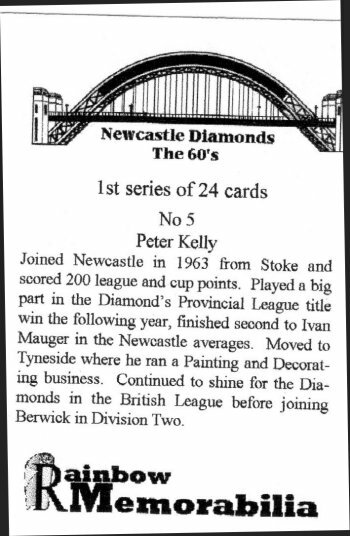 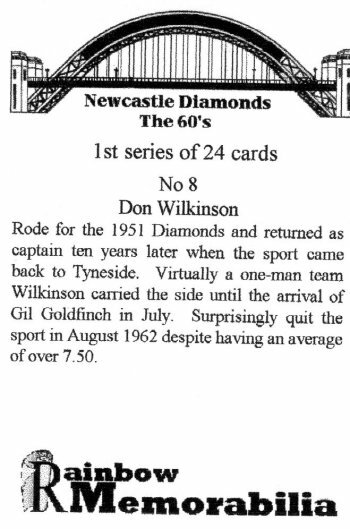 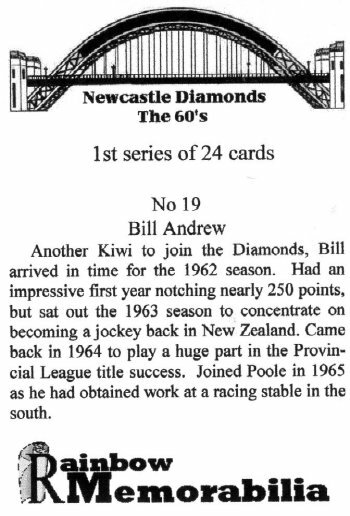 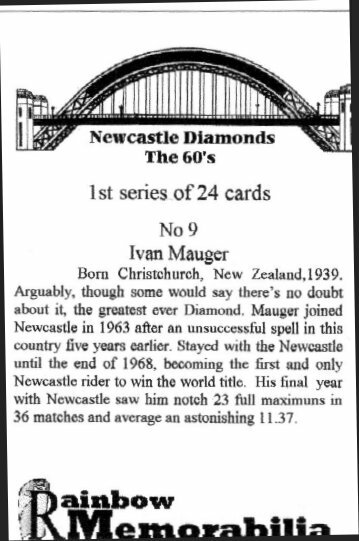 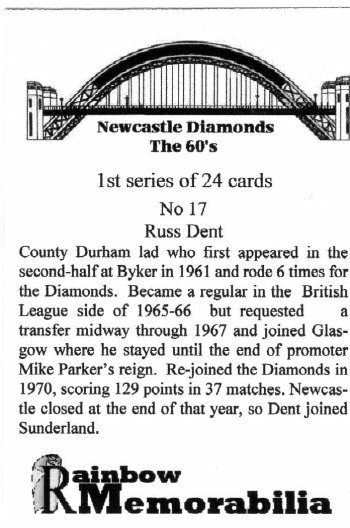 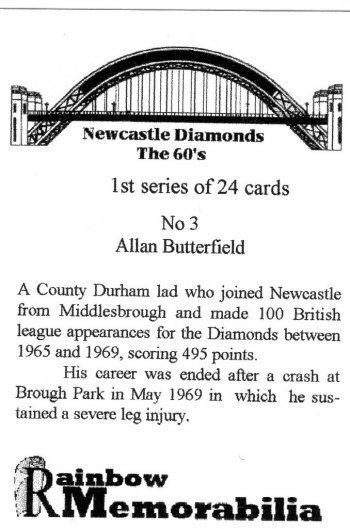 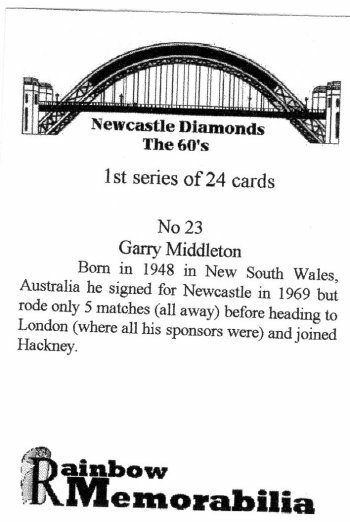 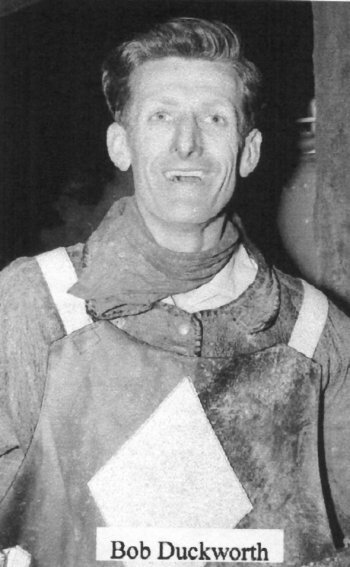 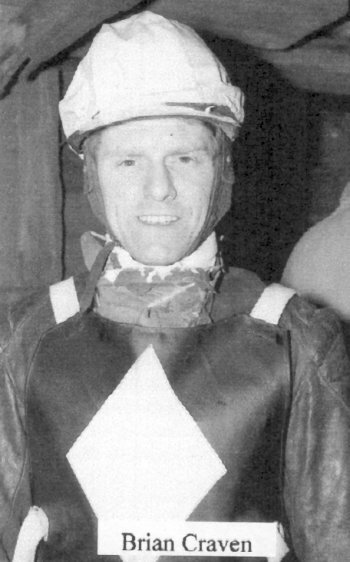 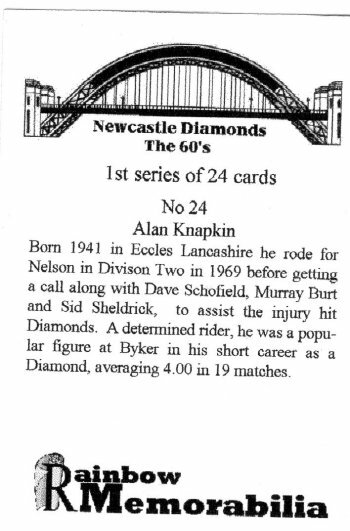 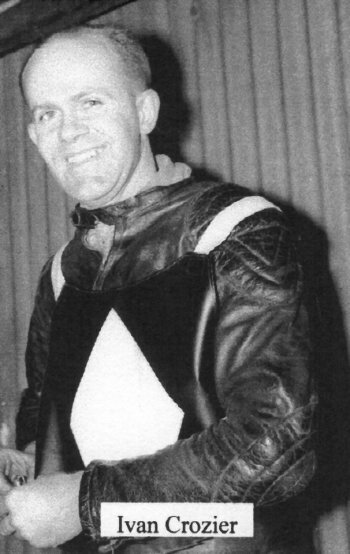 A series of 24 cards featuring Newcastle Diamonds from The 1960s Cards are shown courtesy of the John Skinner collection. 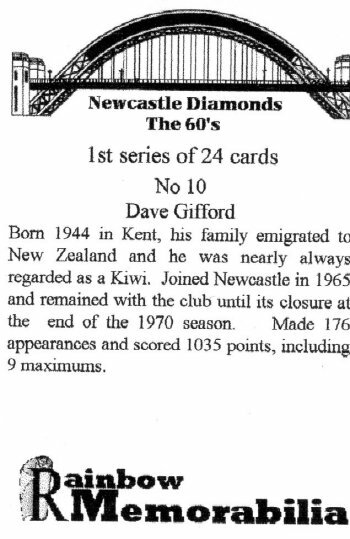 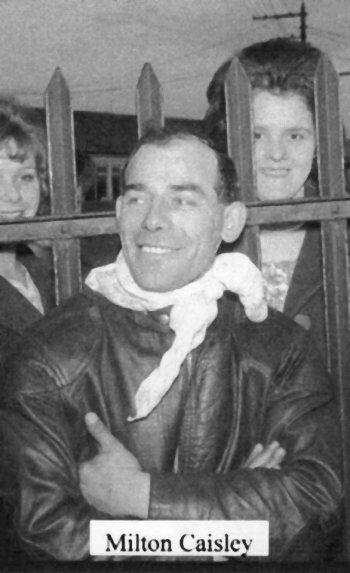 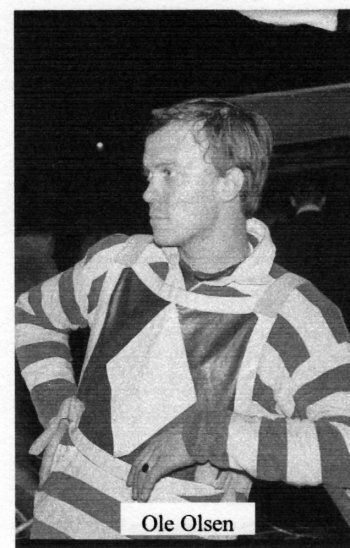 Dave has dual nationality he was borne in Kent England and emigrated with his family to New Zealand. 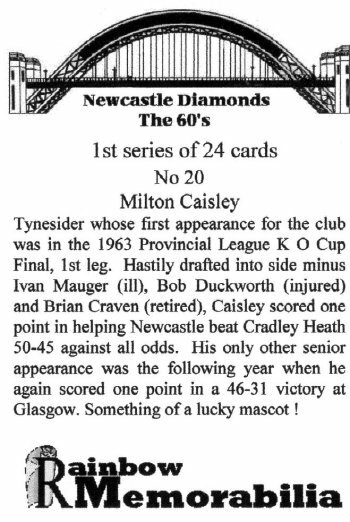 Strangely Giffy was guided to Newcastle by his love for Newcastle Brown Ale! 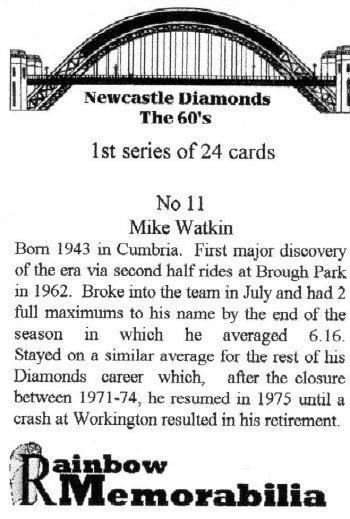 I was surprised to read that Mike was born in Cumbria. 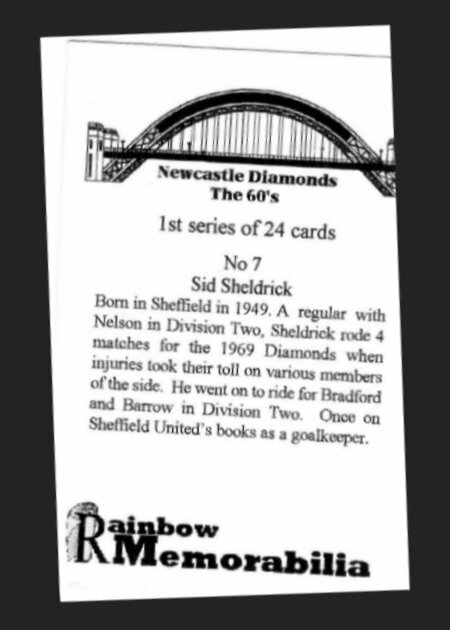 I always thought he was from Newcastle. 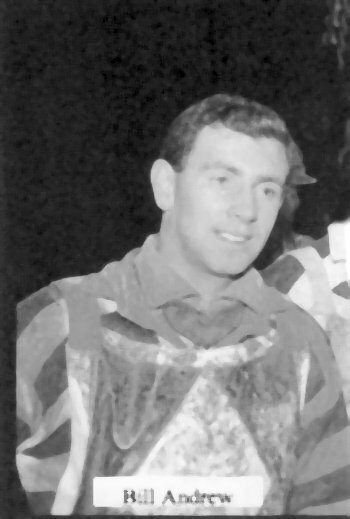 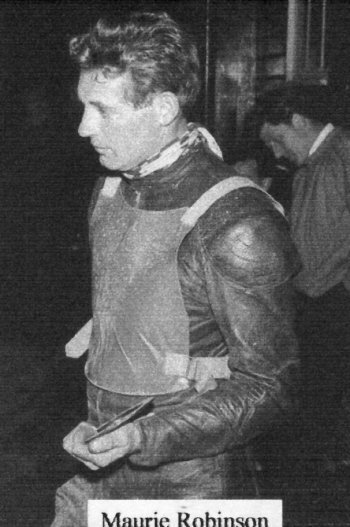 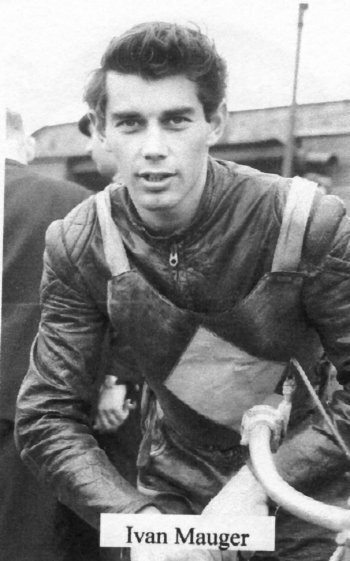 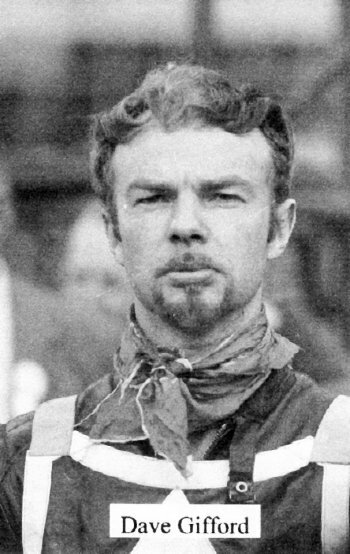 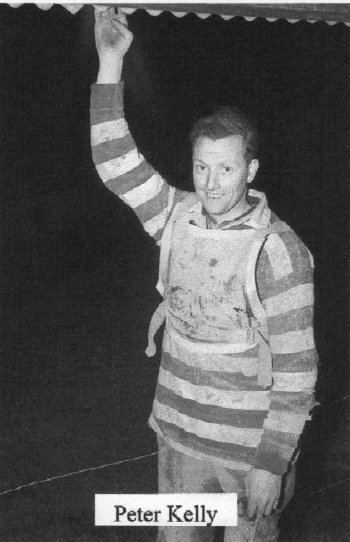 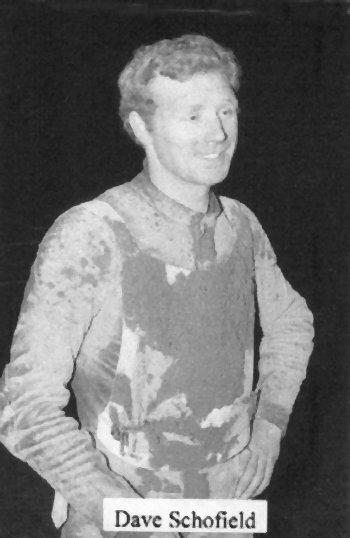 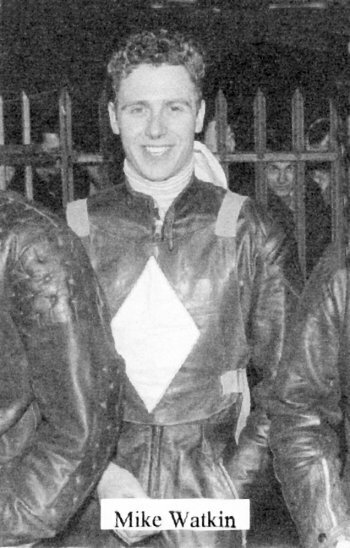 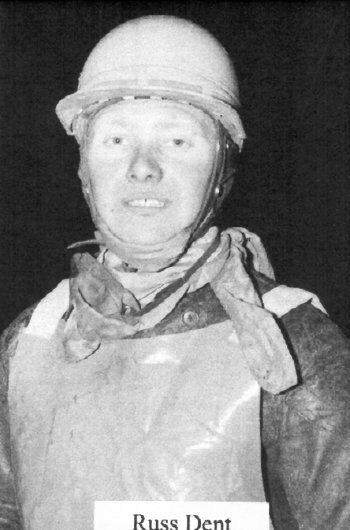 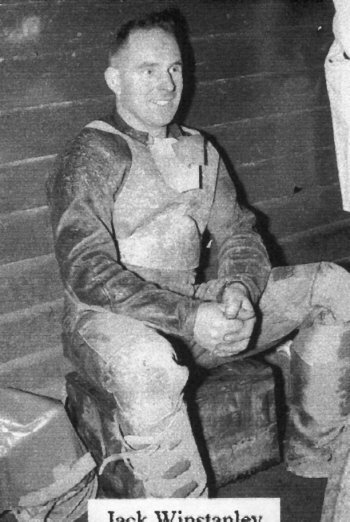 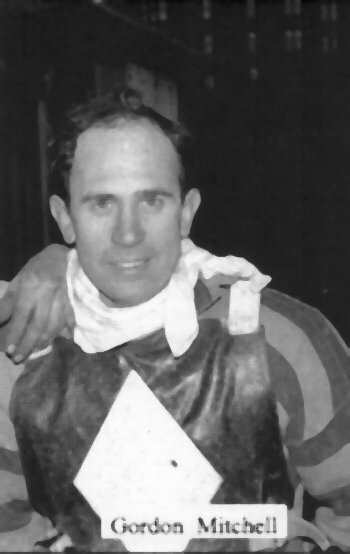 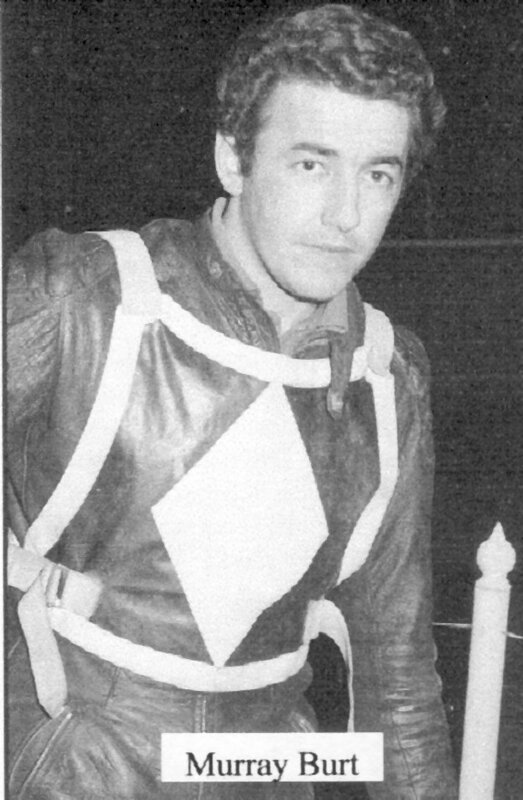 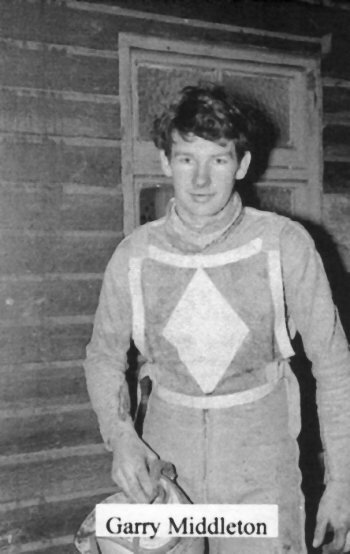 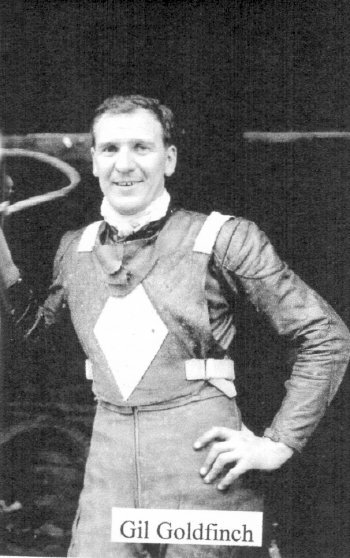 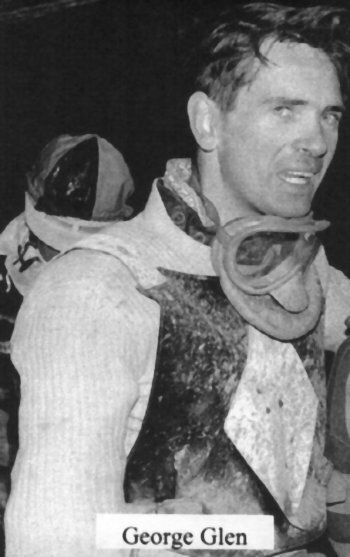 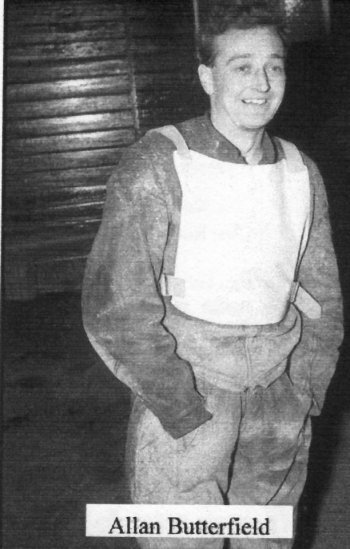 I remember Mike in one ride at Brough Park when he defeated the reigning world champion Barry Briggs, the race brought the house down when Mike took the chequered flag ahead of Briggo!